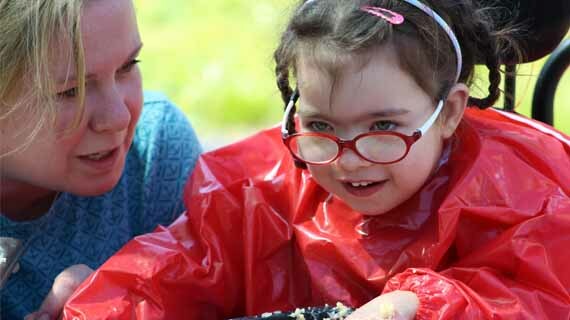 BELONG is a weekly activity programme with a 12-week programme which runs one morning each week from 9.30-11.30am and caters for up to 6 pre-school aged children and their parent or carer. The sessions are led by a paediatric physiotherapist and concentrate on handling, positioning and physical targets. 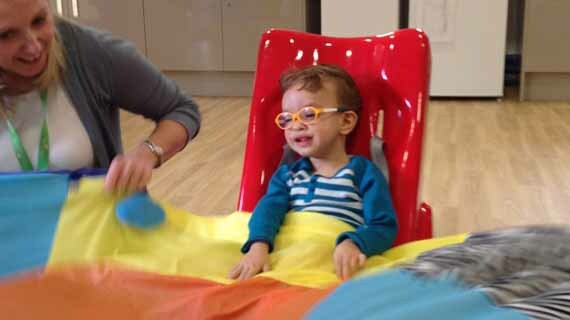 The Nursery offers children with complex physical disabilities the opporutnity to learn through play in a therapeutic environment. It is registered for children aged 2-5 years and offers small group sizes with 4-6 children in a group. BELONG (pre-school group) sessions are led by a our highly specialist team of therapists which include physiotherapy, Speech Therapy, Occupational Therapy and Music Therapy. Nursery children are offered input from specialist paediatric physiotherapists, occupational therapists and speech and language therapists. The best way to see what we do is to come and visit us and meet our students and staff. For any questions you have about our application process, to arrange a visit or speak with a member of the admissions team, please contact admissions on 01420 547747 or email admissions@treloar.org.uk.